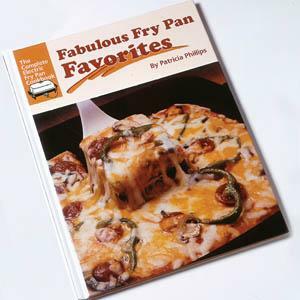 A complete 160-page cookbook for electric fry pan cooking. - More than 300 tasty recipes plus full color photos and "how-to" instructions. A complete 160-page cookbook for electric fry pan cooking. More than 300 tasty recipes plus full color photos and "how-to" instructions.